Adorable Marie Kondo inspired millions of people to sell or give away things that don’t “spark joy” for them any longer. There has never been a better time to save money on second-hand appliances or parts. Even top-quality items can be affordable if you pick them up at a yard sale, thrift store, or through the online equivalent. The greenest, thriftiest approach is often to buy high-quality used goods and then to keep them maintained and repaired until they wear out. Double the win by selling the parts of what you no longer need to make money and help others. But sometimes, it’s better to buy new, even when what you have still works. In part 1 of this series, learn about saving and making money by fixing small appliances and clothing. Watch for part 2 next week. 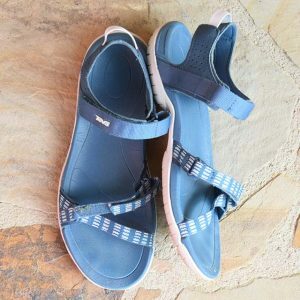 Recently, the layers of the sole on the right sandal separated. Oh no, clown shoes! Even worse, the loose flap by the toes would sometimes catch on the stairs and make me trip. Time to fix the sandals before I fell and had to go to the doctor. Now, the glue did not make my footwear suddenly new. The cobbler also warned me that the other sandal could come apart the same way soon. My hope is that this repair will let me wear the sandals for another year or two. Maybe I’ll have time to buy my next pair on sale. You can score similar savings by having a broken zipper replaced, sewing shut holes in pockets, and reattaching straps or buttons. Slow fashion makes as much sense as slow food. Do you have the missing piece that would let someone else continue to use a bread machine, mixer, blender, or other small appliance? You may be able to sell it for a tidy sum. Think about parts that are easy to lose or break. For my current bread machine, that would be the little knob that sticks through the bread pan and makes the kneading magic happen. It’s less than two inches long and as wide as a knitting needle. There are two on eBay now, one for $14.50 and one for $21.99. Outrageous, yes, but that pin makes the whole bread machine work again. 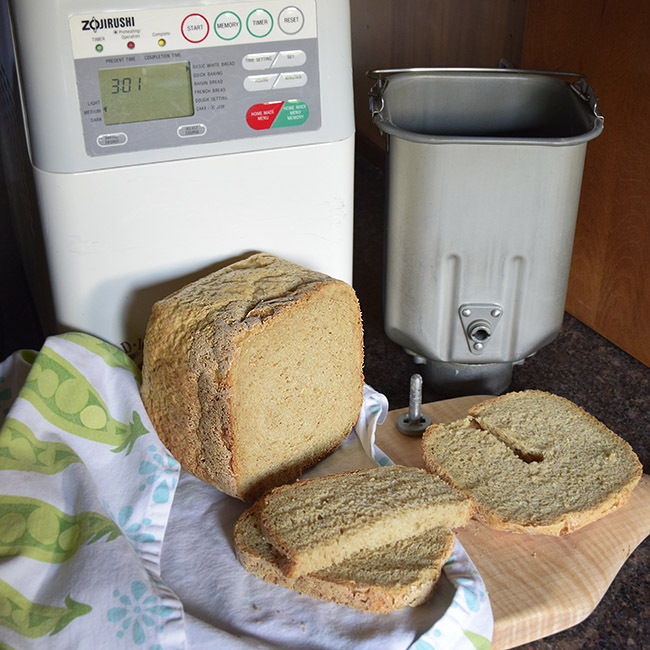 For my previous bread machine, it was the removable kneading paddle ($16 to $30) and a rubber gasket ($9 to $18) that kept the bread pan from leaking. Most parts won’t sell at a yard sale, because you won’t have a large enough target audience. But list them online, and the whole world can find them.